Social commitment is a matter NICO Europe feels deeply obliged to. Every company bears social responsibility, not just for its staff, but also for its effects on the society. While we are for example very cautious to minimize the waste production arising from the usage of our products for the good of the environment (see also section Environment), we also count on social commitment in order to make not just the sky above our fellow human beings shine more brightly, but also their life perspectives. With this in mind, NICO started various promotions and contributed to this purpose by making charitable donations. The word "Tiponi" has its origins in the indian language and means "the Child". And why not delight the smallest members of the society. Often you hear about rather unpleasant conditions in Berlin daycares, not just regarding the lack of personnel, but also the lack of toys, learning materials and playing areas serving for the childrens' physical exertion. With this in mind, we collected donations amounting to 500 EUR for the Tiponi daycare, which were finally spent for a new climbing wall for the little city Indians. Donations to Freunde des Deutschen Herzzentrums Berlin e. V.
The heart is the centre and motor of our life, but not every person is lucky enough to live and grow old with a healthy and sound heart. Every day, the association supports activities in order to help people with heart diseases and to ease their suffering by means of funding projects, e.g. to finance life-sustaining medical electronic devices. We supported these funding projects with collected donations amounting to 1,000 EUR. 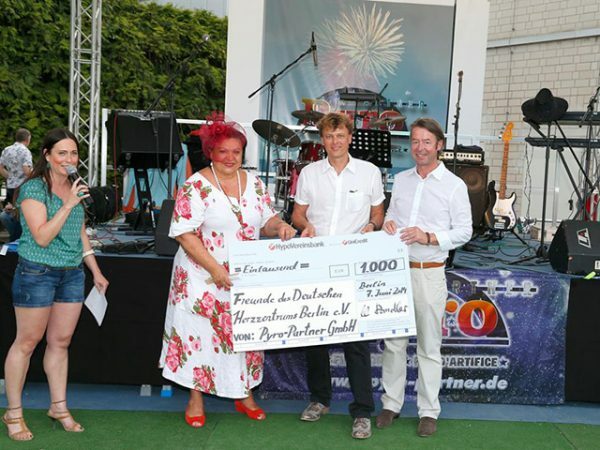 The handing over of the cheque to the patroness Dr. Theophana Prinzessin von Sachsen and the President of the association, Professor Dr. Peter Fissenewert, took place in the course of our annual courtyard party. Being pleased, getting enthusiastic, feel joy and happiness - that's what firework is made for. Therefore, NICO started the donation initiative "Make the world a little brighter"
For "Make the world a little brighter", a special product range was compiled. For every package sold, we forwarded 1 EUR to Aktion Deutschland hilft. Equipping the product with the initiative's logo, sales promotion of the campaign, and product presentation in trade was also effected at the expense of NICO. Through the sale of the promotion articles for the good purpose, donations amounting to 42,226.00 EUR were collected. 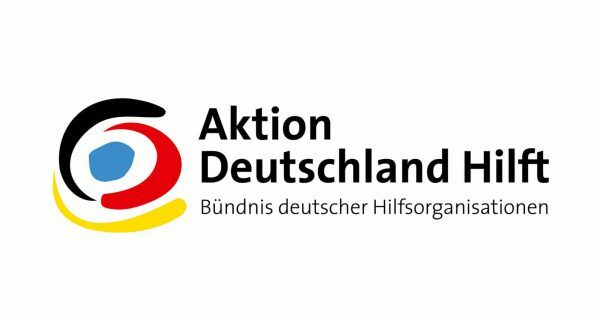 Aktion Deutschland hilft - a federation of 10 German aid organizations - provides quick and effective aid for the local population in disaster and emergency situations - all over the world. Aktion Deutschland hilft was on site and provided aid e.g. at the flood disaster in Pakistan.